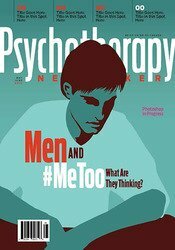 This issue explores how therapists can help men respond in healthy ways to women’s experience in the midst of #MeToo rather than going silent, stewing in guilt, feeling helpless, or loudly protesting their own innocence. 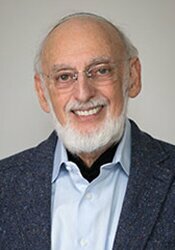 Also included are highlights from Symposium keynoters Jack Kornfield, Harriet Lerner, Esther Perel, John and Julie Gottman, and Irvin Yalom, as well as an intimate glimpse into the stores therapists tell each other at the end of a day. Other articles look at how to enhance therapy with visual images, what happens when a therapist gets too caught up in a client’s emotional turmoil, and what one of the first practitioners to bring mindfulness into the therapy room has to say about its limitations now. Describe Cohen-Posey’s perspective on the use of images to improve client engagement. Explain Perel’s view of male sexuality and its clinical implications. Articulate Epstein’s view of mindfulness as it relates to clinical practice. Financial: Irvin Yalom is Professor Emeritus at Stanford University. Non-financial: Irvin Yalom has no relevant non-financial relationship to disclose. 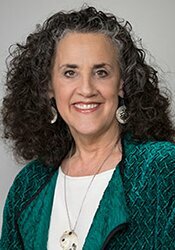 Daphne de Marneffe, PhD, is author of The Rough Patch: Marriage and the Art of Living Together and Maternal Desire: On Children, Love, and the Inner Self. 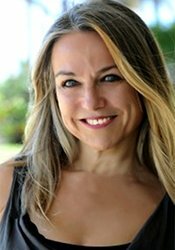 She’s a couple and individual therapist in private practice in Corte Madera, CA.